DADCO’s FCL Series is ideal for press driven cams. Available in two force models (0.3 ton, 0.5 ton) they feature a reduced force increase during travel and a decelerated force on the return travel. 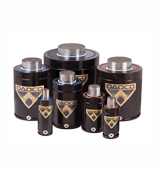 DADCO’s patented Micro Nitrogen Gas springs are the ideal replacement for conventional coil springs. 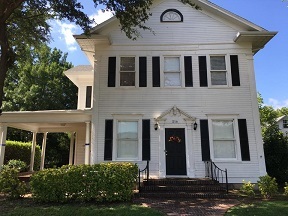 Their consistent, reliable force makes them the perfect choice for use in metal stamping; general tool work, such as jigs and fixtures; machine components; and plastic injection molding. Ideal for stampers of small parts, these extremely popular springs are durable and conveniently available in three force models (0.3 ton, 0.5 ton, 0.75 ton). Operate as self-contained or linked together using DADCO’s exclusive MINILink® system. 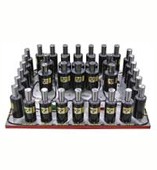 High force and low profile, U Series springs are perfect for stampers limited by shut height. Providing thirteen force models (from 0.2 ton to 22 ton) this series suits a wide range of new and existing applications. 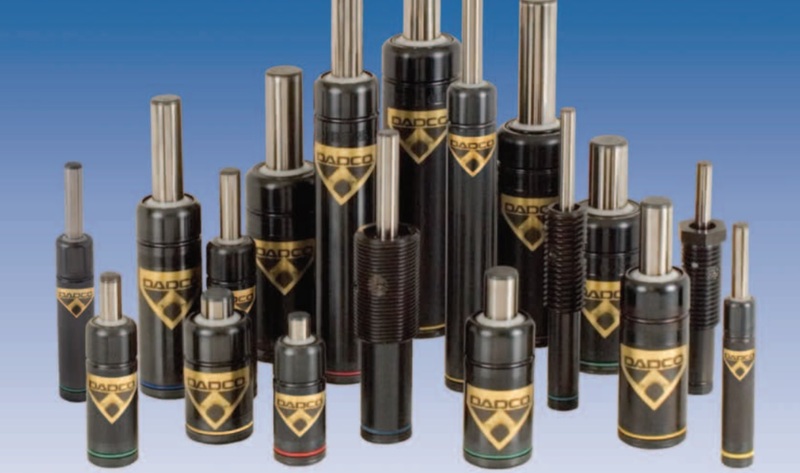 The U.0400-U.20000 models incorporate DADCO’s exclusive UltraPak® cartridge technology; a superior bearing and seal providing excellent wear characteristics that extend gas spring life. The UH Series features a square bottom groove and ISO standard mount pattern. A standard G 1/8 port across the eight force models (0.4 ton to 7.4 ton) is provided for easily converting to linked operation. 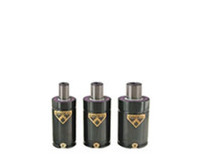 Featuring the UltraPak® cartridge, this series utilizes the established U Series technology but is 4-14 mm taller. UT Series springs comply with the Toyota Standard (SMS DNH 3203n) and feature a radius bottom groove, metric mount pattern and come standard with a G 1/8 port. Featuring the UltraPak® cartridge this series is available in five force models (1.0 ton to 10.7 ton). SCR Series feature oversized piston rods in compact diameters providing the highest force, rod-sealed, gas springs available from DADCO. The four force models (0.5 ton to 3.2 ton) are completely serviceable and have a side port allowing for easy pressure adjustment, charging or linked operation using DADCO’s exclusive MiniLINK® fitting system. 90.5B2 Series is slightly shorter than the full height/ISO standard and is a direct replacement for the obsolete 90.5B Series. Available in two force models (1.5 ton, 3 ton), this series has the capability to be operated in either a self-contained system or a linked system and utilizes standard mounts. 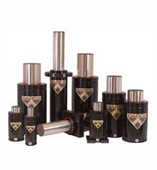 Super Compact Series is ideal for applications that require high force and short stroke lengths. 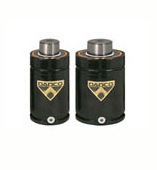 The bore-sealed construction of this series offers the highest force per diameter model from DADCO. Available in nine force models (from .4 ton to 18 ton) this series can suit a variety of well-designed die applications. Sub plates may be added to the springs to operate in a linked system. The patented 90.10RX Series reduces overall impact force during operation. This series replaces the 90.10R – RIC Series utilizing concepts from DADCO’s ISO Series. Available in four force models (3 ton to 10 ton) this series utilizes a robust design and the same comprehensive assortment of attachable mounts, welded mounts and accessories as the 90.10 Series. High Temperature nitrogen gas spring models extend the maximum temperature range with high temperature components. Micro gas springs are available in two upgrades: H1 Models for applications up to 110°C (230°F) or H2 Models for applications from 110°C – 200°C (230°F – 392°F). 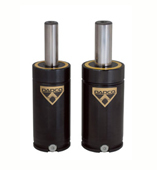 Resolve nitrogen gas spring contamination problems with DADCO’s Extreme Condition Solutions. 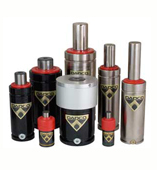 These options are designed for applications where draw die compounds and other contaminants are present. Choose from the following gas spring upgrades: Secondary Wiper, Rod Cover, or Plated Cylinder with Secondary Wiper; all can be used in conjunction with our stainless steel fittings and control panels for corrosion resistant linked operation. DADCO’s widely accepted full-height 90.10 Series is based on the ISO standard. With seven force models (from 0.17 ton to 10 ton) this series provides the greatest stroke length variety available from DADCO. The 90.8 Series is a compact-height alternative, saving 25 mm to 50 mm in height over the 90.10 Series. This series is available in five force models (from 0.75 ton to 7.5 ton). Both series can be operated self-contained or in a linked system and use the same comprehensive assortment of attachable mounts, welded mounts and accessories. The UX Series fits the standard full-height gas spring envelope with 25-55% more force-on-contact; resulting in reduced die construction costs with fewer cylinders. This series consists of seven force models (from 0.7 ton to 22 tons), can be operated self-contained or in a linked system and uses the same comprehensive assortment of attachable mounts, welded mounts and accessories as the 90.10 and 90.8 Series. Customized linked nitrogen gas spring mounting systems are available as an alternative to manifold systems: Sectional Mounting System (SMS®) and Sectional Mounting System – Internal (SMS-i®). 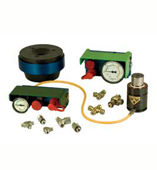 Both systems are cost effective, lighter, and easier to handle and store over comparable manifold systems. Each SMS® and SMS-i® is constructed to individual customer specifications then tested and shipped leak-free, ready to install. Create a linked nitrogen gas spring system utilizing the various types of fittings, hose, control panels and specialty components offered by DADCO. The linked system components catalog makes it easy to configure a piped system suited for all types of applications. To further assist in linked system design use the DADCO Force Calculator to determine your system force and pressure rise.